File Photo | The Daily Eastern News Eastern senior Tyler Jones fires a pitch in an Eastern game last spring. Eastern travels to play Tennessee Tech for three games this weekend. 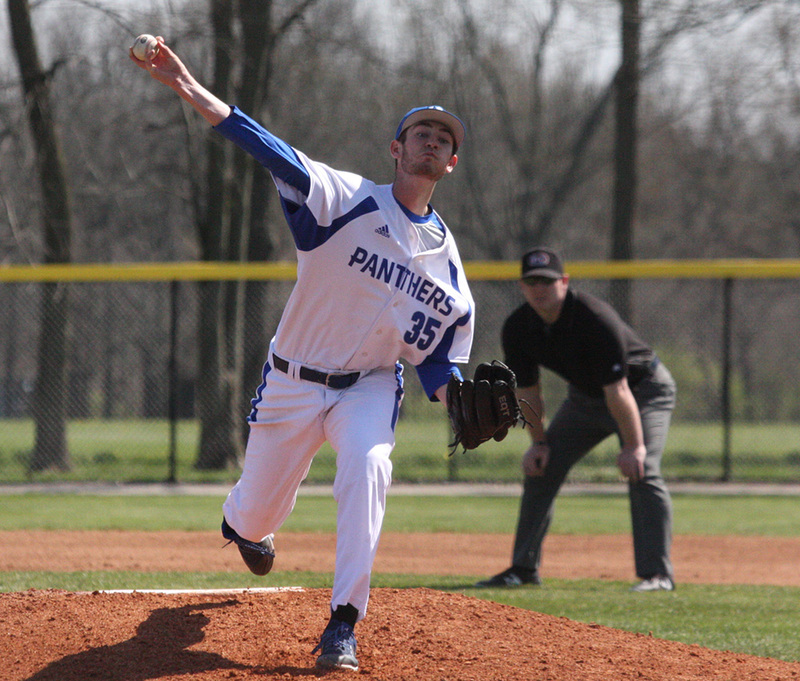 The Eastern baseball team hits the road this weekend for a three-game series with OVC foe Tennessee Tech. 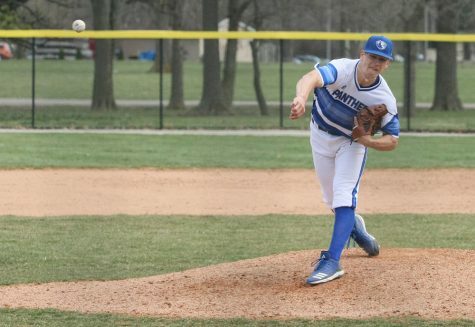 The Panthers (8-11, 2-4 OVC) got the day off on Wednesday after their matchup with Evansville was canceled, making their last contest a 2-run shutout against Butler on Tuesday. 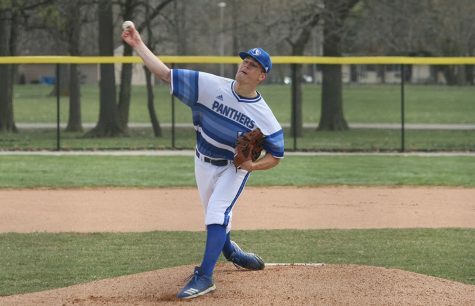 First up on the hill for Eastern is junior Michael YaSenka, who got his first win of the year in his last start against Murray State after going eight innings deep and allowing just three runs. The right-hander YaSenka comes in with a 1-3 record and a 4.76 ERA while holding opposing batters to a .260 average to go along with a team-high 37 strikeouts. On Saturday, senior Spenser Dexter hits the mound for Eastern in the start for the first time since that same Murray State series. Although it was a loss, it was still a solid outing for Dexter who allowed just two earned runs in 6.2 innings of work. Dexter comes into the weekend slate with a 1-1 record and a 3.54 ERA to boot. No starter has been announced for the final game of the series for Eastern. The bats have been on-and-off lately for the Panthers as the team has posted over two runs scored in just one of their last three games. 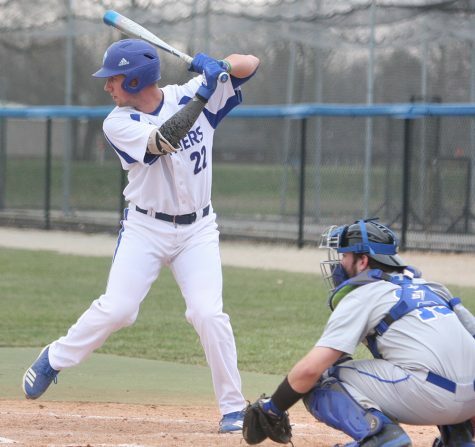 Senior Jimmy Govern did not get that memo, though, as his team-high four home runs has his slugging percentage sitting at a .561 mark to go along with a .366 on-base percentage. On the other side of the coin, the Golden Eagles (11-9, 2-4 OVC) have been streaky so far this season, securing their first three wins of the year but only taking one of their last five contests. The bad news for Eastern is Tennessee Tech’s home record, as the Golden Eagles boast a 9-1 clip in their own ballpark compared to just 2-8 on the road. Tennessee Tech will give the ball to junior Jacob Cole to start game one of the stint, and the right-hander comes into the contest with a 3.54 ERA in eight games. The Golden Eagles have yet to announce starting pitchers for the last two games of the weekend. 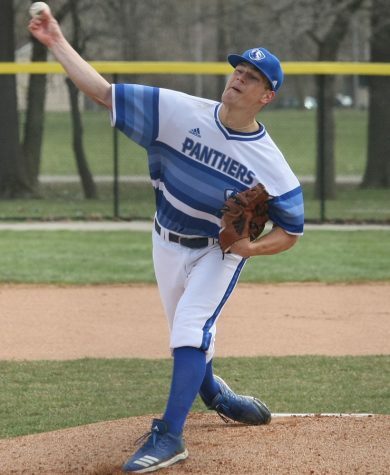 It’s not just pitching that wins games, though, and sophomore Jason Hinchman knows that, as the infielder comes into the series with 22 RBI and seven deep balls with a .324 batting average. The road trip ends for Eastern after the weekend, as the team returns home to face Robert Morris-Illinois on Tuesday at 3 p.m. in Coaches Stadium.